Island countries breed unique culture. While the cultural facets of nations in larger continents, including mainland Europe, have historically assimilated with one another more readily, relatively speaking, due to immediate geographical proximity and rubbing of elbows, the sea and the sky enclose islands and thus foster environments conducive for distinct cultural growth and artistic movement. A fair share of Japanese music and gameshows, for instance, strike many people from elsewhere as being outlandish and downright weird. Similarly, extreme metal from down under has taken unmistakably separate paths from European and stateside counterparts. Australian bands have been arguably more maniacally over the top and as varied as SADISTIK EXEKUTION, BESTIAL WARLUST, DISEMBOWELMENT, DAMAGED and THE BERZERKER. PORTAL is Australia's most prominent contemporary offering of musical extremity. Starting out in 1994, it was almost a decade later that the group released its first proper full-length: "Seepia" (2003). 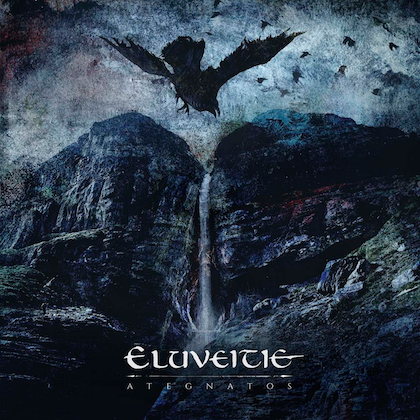 "Outré", 2007, was well received, but it wasn't until 2009's "Swarth" that the band made its massive plunge into the extreme metal public's collective consciousness. 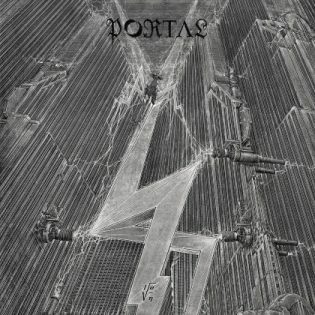 PORTAL is a demented, avant-garde hybrid of death and black metal. True to its name, the Australian ensemble is seemingly a portal to another dimension. PORTAL is the sonic equivalent of a Lovecraftian nightmare brought to life. The band's mysterious nature is augmented considerably by a visual aesthetic framing its member as masked, anonymous figures during the group's haunting live performances. With its fifth full-length album, "Ion", PORTAL's otherworldly dark music continues to eschew some of the more traditional and recognizable compositional aspects of the likes of, say, IMMOLATION and MORBID ANGEL whilst simultaneously plumbing the depths of said artists' spirit and essence. At times chords remain suspended, left hanging with an element of repetition contributory to a hypnotic state prior to an awakening by jagged heavy metal noise clamoring and crashing much like a glass wall shattering from a cannonball's impact. This unfolds with the closing sections of "Crone" when enchanting, blasting black metal steamrolls while The Curator bellows lyrics sounding more like a man possessed spitting out a mantra than some dude singing in a metal band. His daunting presence and absurd, theatrical garb demands attention live, yet with regard to the group's recordings, his role isn't central as he generally chimes in relatively sparingly to punctuate certain parts with his deep, booming roar. But the expression that was once more thoroughly abstract and almost seemingly shapeless has now taken a more easily recognizable form. 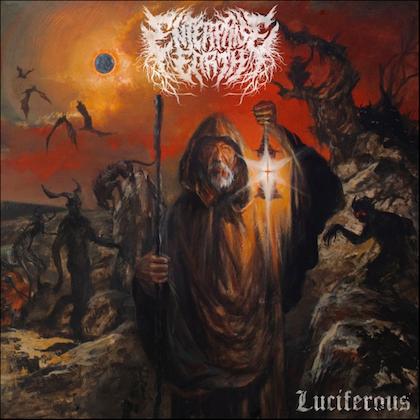 The murky, loosely defined atmospherics of yore have been dialed back in favor of more fury, increased speed and experimental death metal complexity. Whether or not the band's odyssey into the abstract and amorphous had contacted the highest state of enlightenment its capable of reaching on2013's "Vexovoid", PORTAL's shifting focus toward higher velocity, technical music was a wise move to avoid the possibility of redundancy. Simply put, "Ion" allows PORTAL to keep things fresh. The unit continues to refrain from outright aping death and black metal archetypes, but apparitions of VOIVOD-esque progressive thrash and death metal do appear. A densely packed death march opens "Phreqs" prior to the swarming and swirling, vertigo-inducing guitar interplay between Horror Illogium and Aphotic Mote. 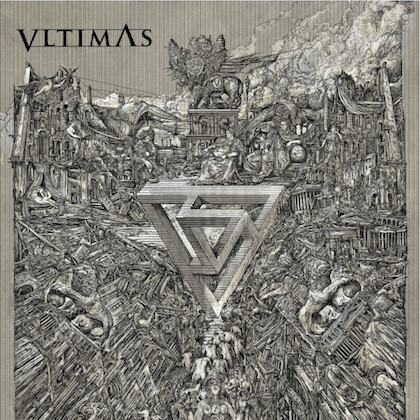 The unsettling, dangling guitar lines subsequently unravel in tandem with Ignis Fatuus's increasingly audible militant snare smashing that leaves only enough room for Omenous Fugue's throbbing bass groove which lays the song to rest. The song's development almost mirrors the graphic, step-by-step details of a horrific murder. That's PORTAL.